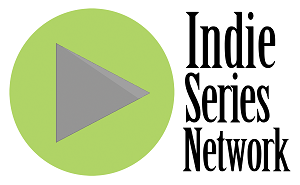 The results are in from "Indie Series of the Week" poll for web series that aired May 18-24, 2014. Red Sleep was voted favorite web series for the week. A new episode of Misdirected was second, followed by the latest from Proper Manors, The Bay and F to 7th. Ron Kaell (Calvin) from Red Sleep was voted Favorite Actor of the week. Lauren Mora (Freddie) from Misdirected was voted Favorite Actress for the second week in a row. - Beverly Pills Episode 6 "Xannies & Trannies"
- Black Boots Episode 8 "Struggle & Maintain"
- Chris & Josh Season 2 Episode 4 "Sitcom"
- Lungs Episode 12 "Mother"
- Misdirected Season 2 Episode 3 "Time's Up"
- Proper Manors Season 2 Episode 3 "Inferno Part III"
- Two Housemates Episode 5 "Dave 'The Bear Killer' Johnson"
- Winners Episode 10 "Texter"